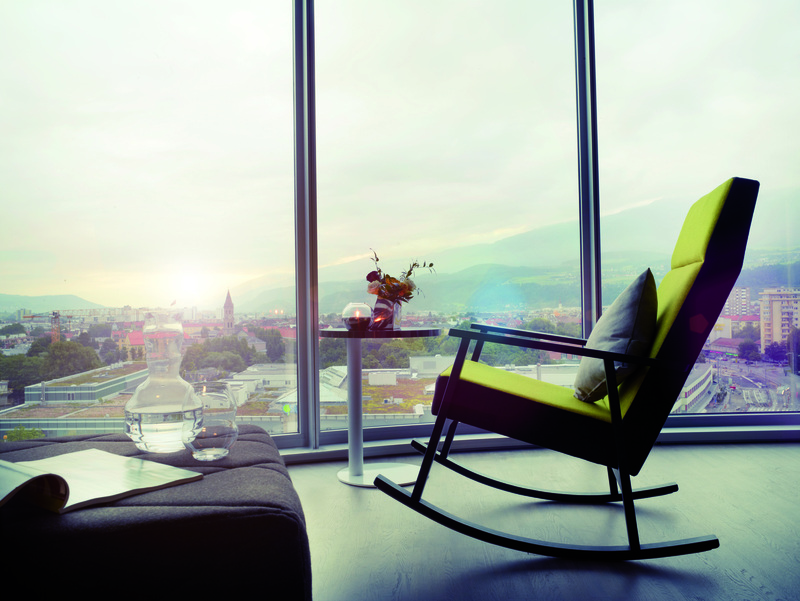 Haapo 1910, based at Lake Achen in Tyrol (A) for over 100 years, manufactures tables and seating of the highest artisanal quality. The company’s focus is on honesty, quality and sustainability. All products are manufactured on-site from local wood and with great attention to detail. 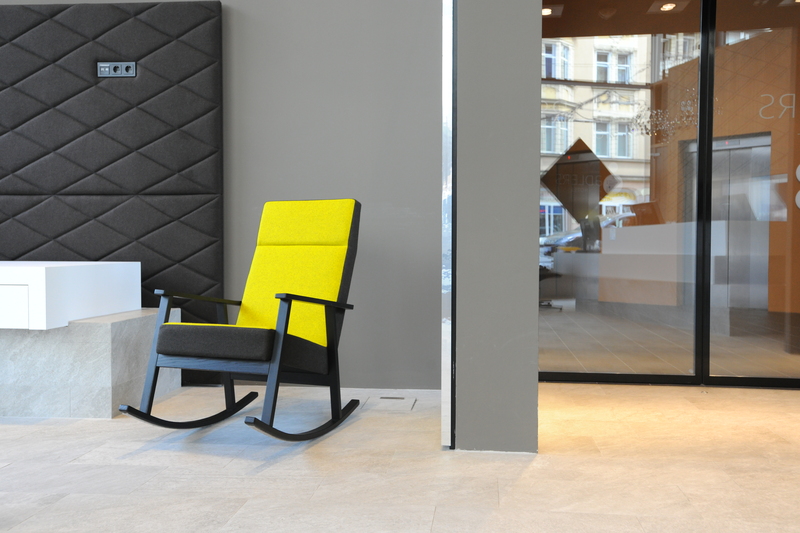 Naturalness and longevity are reflected in the traditional yet modern simplicity of the design. 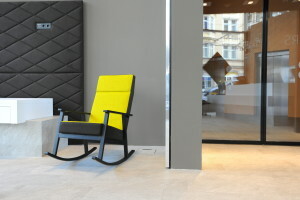 Tyrolean design studio Arge 2 first developed the Adler rocking chair for Adlers, a design hotel in Innsbruck. 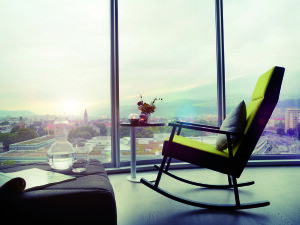 Here guests can enjoy breathtaking panoramic mountain views whilst gently rocking back and forth in Haapo’s new and most relaxing chair. This creation manages to skilfully bring modern design and comfort together. 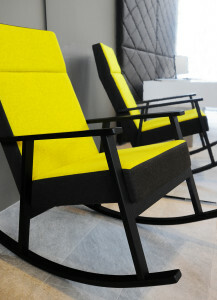 The product range is completed with a lounge chair and various types of armchairs.